Menton Daily Photo: Féte de l'Orme - a Camera in 1713? What's this? A camera in the early 18th century! 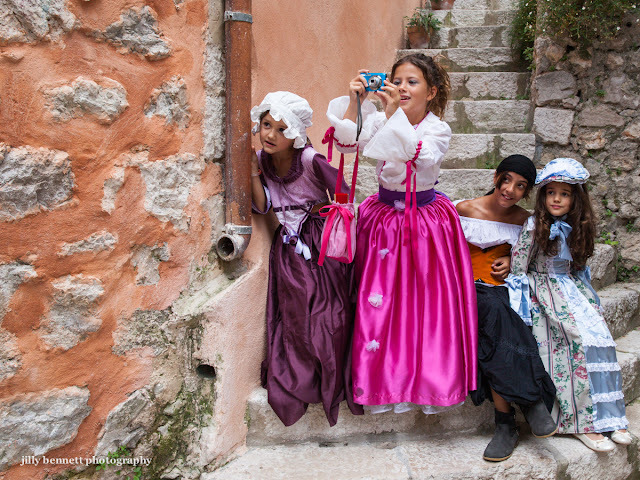 Meet the beautiful Paloma, with camera, and her friends. Qu'est-ce que cela? Un appareil-photo au début du 18ème siècle! Voici la belle Paloma avec son appareil-photo et ses amies. Thank you for a fine slice of life photo, Jilly. Great expressions. It makes me wonder what they're looking at.